Edible Arrangements makes for a unique and delicious gift this holiday season! Located at 530 E. Betteravia Rd., Ste B-1, the store offers a variety of edible boquets, gift boxes and more for every occasion! “We make fruit bouquets that are as beautiful as flowers but you can eat them.” Said owner George Muranaka. 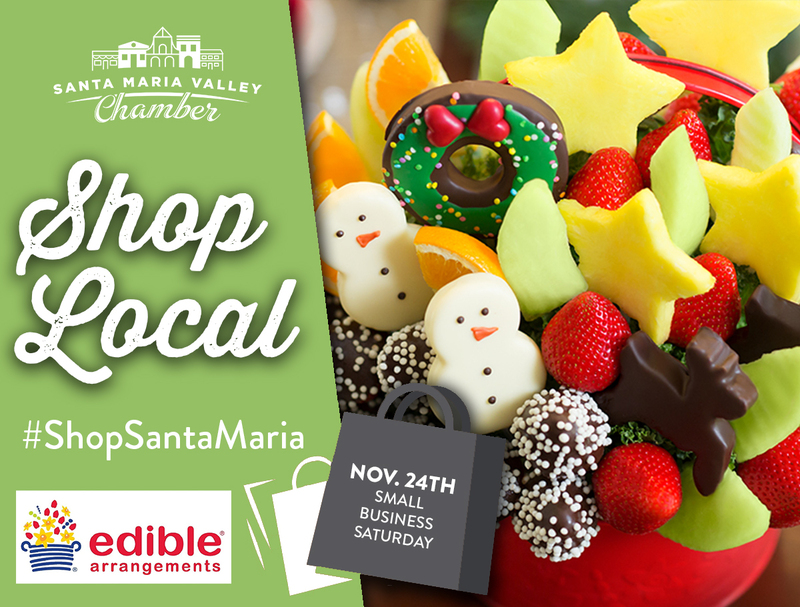 Edible Arrangements believes its important to #ShopLocal and #ShopSantaMaria because supporting your community members is a big part of what the holiday season is about. Be sure to stop by their store this holiday season or learn more by visiting www.ediblearrangements.com. #SmallBusinessSaturday is November 24th, and the Chamber encourages our community to #ShopSantaMaria and support our local businesses throughout the holiday season!